WINCHESTER, Va., May 17, 2016 – Trex Company, the world’s largest manufacturer of wood-alternative decking and railing, and leader in high-performance outdoor living products, has won three Awards for Design Excellence (ADEX) from Design Journal, an international resource for interior designers, architects and facility managers. A perennial ADEX-award winner, Trex captured two Platinum Awards – the program’s highest honor – for the Trex Outdoor Storage™ collection and for Trex Pergola™ “Air,” a recent addition to the popular Trex Pergola collection. Another new pergola design, Trex Pergola “Vision,” was honored with an ADEX Gold Award. •	Trex Outdoor Storage (Platinum Award) – From hidden ice chests to drawer boxes for pillows and pool equipment, Trex Outdoor Storage maximizes outdoor living space by providing extra room for backyard essentials. Each piece is offered in all five Trex Transcend® premium tropical shades. In keeping with Trex’s tradition of durable, high-performance products, the collection is manufactured with a dense, low-maintenance resin that won’t warp, fade or crack, with an adhesive-welded interior of ¾” white PVC. Storage solutions include pull-out ice coolers, cabinets and bench drawers, hampers and trash storage cabinets. •	Trex Pergola “Air” (Platinum Award) – Trex Pergola kits are low maintenance, easy to assemble, and come in a wide range of standard sizes. Trex Pergola “Air” is characterized by its contemporary design, crisp lines and RainFlex™ motorized canopy. Available in both freestanding and attached models, Air offers the perfect amount of sun, shade or rain protection for any outdoor lifestyle. •	Trex Pergola “Vision” (Gold Award) – Trex Pergola “Vision” allows users to select from a completely open structure, partially enclosed frame, stainless steel cables, tensioned canopy or retractable canopy. The versatile Vision provides the framework for your outdoor living area, with five different in-fills, multiple decorative end designs and 17 ColorLast™ finishes. ADEX is the largest and most prestigious awards program that recognizes product design of furniture, fixtures and finishes marketed to the design trade. Products are judged by a panel of professionals representing a cross section of the design industry. All ADEX-winning products are featured on the Design Journal website at www.designjournalmag.com. For more information about Trex products, visit www.trex.com. Trex Pergola kits and Trex Outdoor Furniture are produced through trademark licensing agreements with Trex Company. Trex Pergola kits are manufactured by Fredericksburg, Va.-based Backyard America, and Trex Outdoor Storage is produced by Florida-based NatureKast Products. Trex Company is the world’s largest manufacturer of high performance wood-alternative decking and railing, with more than 20 years of product experience. Stocked in more than 6,700 retail locations worldwide, Trex outdoor living products offer a wide range of style options with fewer ongoing maintenance requirements than wood, as well as a truly environmentally responsible choice. For more information, visit trex.com. 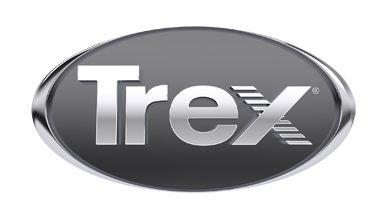 You also can follow Trex on Twitter (@Trex_Company), Instagram (@trexcompany) Pinterest (trexcompany), or Houzz (trex-company-inc), “like” Trex on Facebook, or view product and demonstration videos on the brand’s YouTube channel (TheTrexCo).